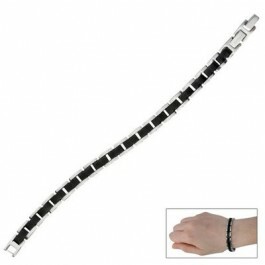 Buy Boimagnet Black & Silver 2 Clasp Bracelet , from Budk - RBC VISA for $39.99 only in My e-commerce. This stylish bracelet is crafted of stainless steel. 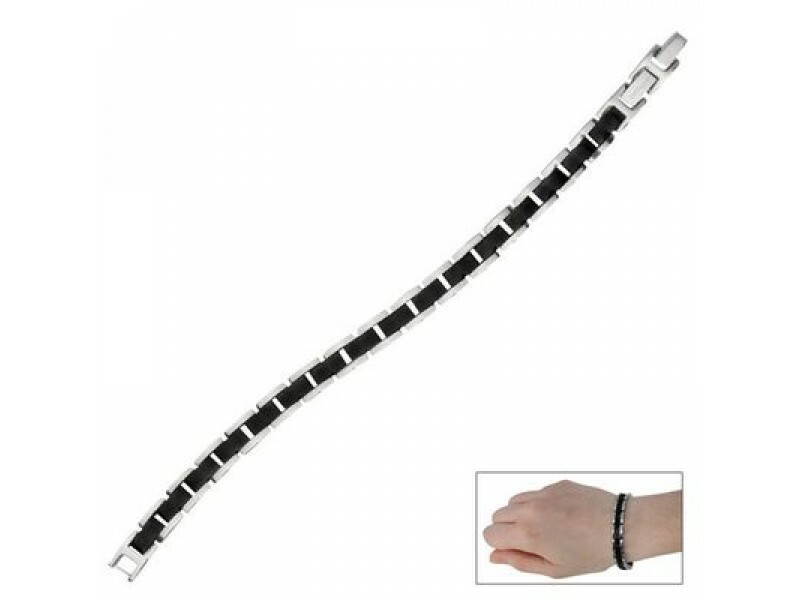 This bracelet also features magnetic qualities since it has one magnet, one infrared, one germanium and one negative ion. This stylish bracelet is crafted of stainless steel. This bracelet also features magnetic qualities since it has one magnet, one infrared, one germanium and one negative ion. Bracelets like this are thought by many to offer pain relief from arthritis, carpal tunnel, muscle aches, stiffness, and inflammation, in addition to providing improved circulation through the outer limbs. Whether you are looking for a unique accessory or a relief from various ailments, this bracelet will look good on your wrist! 8” ov.